Alone at the end of the world, Aria is woman with a mission! 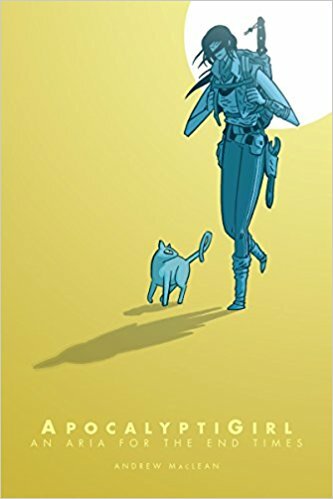 Traipsing through an overgrown city with her only companion, a cat named Jelly Beans, Aria's search for an ancient relic with immeasurable power has been fruitless so far. But when a run in with a creepy savage sets her on a path to complete her quest, she'll face death head on in the hopes of claiming her prize and, if all goes according to plan, finally returning home. Another random library pick for the win! This slim comic is a great adventure story set after the apocalypse. I loved Aria and Jelly Beans and their explorations. Really enjoyed this one.